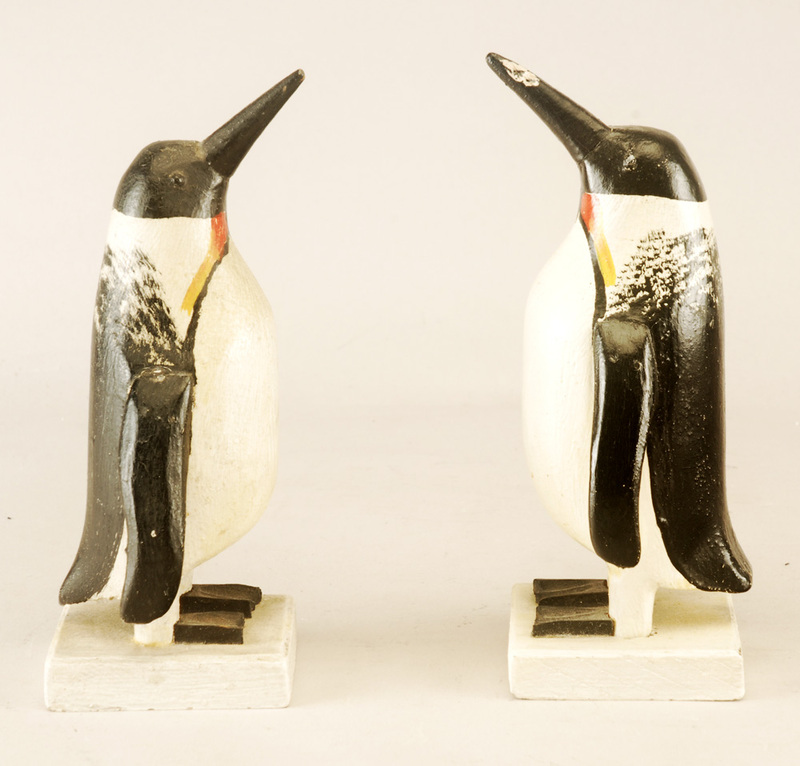 RJG ANTIQUES, Rye, NH russ@RJGAntiques.com 603-433-1770 Carved Miniature Emperor Penguin Pair, Charles Hart, Gloucester, MA, circa 1935. Matched pair displaying all of the characteristics for which New Hart is famous (applied wings and feet, lead eyes, etc.). Excellent original condition. 5 3/8" tall.